A new railway stop in the southern estate in Lublin as well as modernisation of 170 kilometers of railway line to Warsaw will make journeys faster, more convenient and more comfortable. Shortly, PKP Polish Railways will launch modernisation works on line no. 7 connecting Lublin with Warsaw. Following this there will be incremental line speed and journey time improvements - the railway line will be operating at up to 160km/h and the journey time will be reduced by 45 minutes to 1.5 hour. The investment will also involve adding a new platform (Lublin-West), which will bring inhabitants of southern and western housing estates of the city closer to convenient railway connections. The total cost of the project is estimated at nearly one billion euro and will have been completed by the end of 2018. During the modernisation works, PKP will be running an amended schedule between Lublin and Warsaw. As the works will result in temporary changes of the route between the cities in question, the railway line between Lublin and Siedlce has been modernised. In the next two years, the journey time to Warsaw will be longer by approximately 30 minutes. Furthermore, diversions for cargo trains have been put into operation. 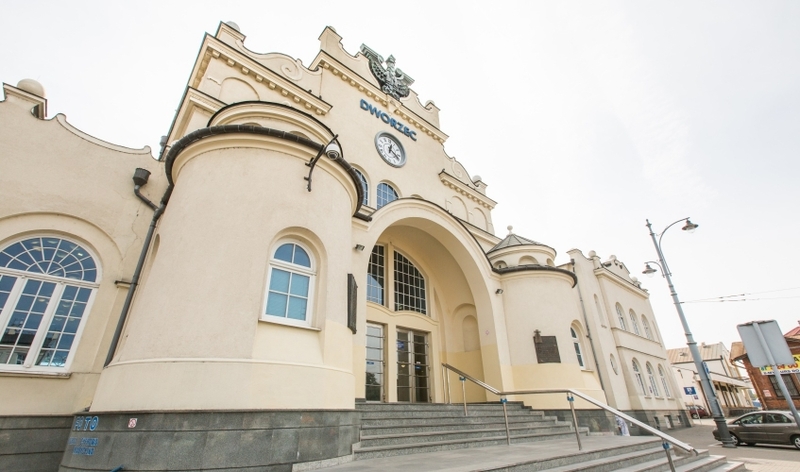 Built in 1877, is one of the busiest train stations in eastern Poland.